Our Online Complete Course (Prenatal & Postnatal) offers a balanced mix of theory and practical exercises providing you with valuable knowledge and tools to teach yoga to pregnant women and new mothers safely and confidently. This comprehensive online course contains a multi-media ‘bag of goodies’ including a stimulating mix of video, audio and written materials. (Scroll down for a little ‘preview’ of our course, showing the structure and samples of the content). 1 hour Skype Live session with a Bliss Baby Yoga course facilitator to discuss feedback on major Case Study Assignment and any outstanding questions. A Completion Certificate (PDF electronic file) is provided once you’ve completed the course. The total course hours on this completion certificate is 64 non-contact and 1 contact hours. Members of both Yoga Alliance and Yoga Australia are required to complete ongoing professional development to keep their membership current. By completing the Bliss Baby Yoga Online Prenatal & Postnatal Yoga Teacher Training course, teachers are able to accrue some of these necessary professional development hours as well as to gain the all-important knowledge and skills to launch them into this specialised area of women’s health. For Yoga Australia members, 12 CPD points (Continuing Professional Development) must be accrued each year to keep your membership active. These can be accrued through contact or non-contact hours of study. Our online course is predominantly non-contact study, however as our course includes an assessment component (final case study assignment), for Yoga Australia members (as per their Continuing Education Policy) the hours spent completing our course are counted as contact hours, core to yoga teaching (1 point per hour). The Bliss Baby Yoga Online Complete Course is 65 hours (1 contact hour and 64 non-contact hours), so Yoga Australia members will accrue at least 65 CPD points. Our 65 hour Online Complete Prenatal & Postnatal Yoga Teacher Training course (64 non-contact hours and 1 contact hour) can therefore meet the 20 non-contact hours requirement and 1 of the required 10 contact hours. At the end of the course we will also include you on our online directory of qualified pre/postnatal yoga teachers. FAQ: If I want to be able to teach Prenatal / Postnatal Yoga classes, do I have to already be a qualified yoga teacher to enrol in your online course? Our Bliss Baby Yoga training courses are designed as post-graduate study for qualified yoga teachers, and are not alone designed to qualify graduates to teach prenatal / postnatal yoga classes to the public if they are not yet a qualified yoga teacher (having completed a minimum Level 1 / 200 hr Yoga Teacher Training). The prerequisite to enrol in our courses is at least 6-12 months consistent prior yoga practice experience – so that you are familiar with the basic postures / practices / terminology and can therefore gain the most from this training. We strongly recommend undertaking a 200 hr Yoga Teacher Training in addition to our specialised teaching before teaching any public classes, so that you can be insured as a qualified yoga teacher. FAQ: Can I get RPYT (Registered Prenatal Yoga Teacher) registration with Yoga Alliance by completing the Online Prenatal and Postnatal Yoga Teacher Training course? Unfortunately Yoga Alliance RPYT (Registered Prenatal Yoga Teacher) certification cannot be achieved through distance or online education, such as our Online Prenatal and Postnatal Yoga Teacher Training course, as there is a requirement of at least 75 contact hours of study (face-to-face training with a certified teacher). Any hours of study completed via distance / online are considered ‘non-contact’ hours. Upon completion of our online training, graduates are issued with a Completion Certificate- noting the hours and content completed, and bearing our Yoga Alliance RPYS (Registered Prenatal Yoga School) stamp. This certificate can be submitted for CPD (Continuing Professional Development) points for your Yoga Alliance / Yoga Australia membership. FAQ: Do the Bliss Baby Yoga online courses certify me to be able to teach in the USA/UK? Bliss Baby Yoga is registered with the international yoga body, Yoga Alliance, as a RPYS (Registered Prenatal Yoga School) and RYS-200 (Registered Yoga School). We have had yoga teachers from all over the world complete our online training courses. Upon completion of our Online training courses, graduates receive a certificate of completion, noting the content, hours, and date of completion, which can be submitted for CPD (Continuing Professional Development) points for Yoga Alliance / Yoga Australia registered teachers. If you are registered with a particular local or international registration body you may like to contact your association or insurance provider directly to confirm if they recognise internationally based online teacher training – for CPD (Continuing Professional Development) points or otherwise. Read our responses to further frequently asked questions here. Once you’ve enrolled and your payment is confirmed, you’ll be sent an email with your log-in details to log in to our special student section of the website where you can get started with your course. The Online Complete (Pre & Postnatal) course is easy to navigate—it’s all clearly laid out and you don’t have to be a ‘techy’ person to figure it out! This course consists of 5 prenatal modules and 5 postnatal (and mums n bubs) modules. Each module consists of a varied and stimulating mix of audio lectures, video-lectures, sample video classes, and accompanying reading from the course manuals. Have your yoga mat (and sometimes other props like bolster, brick) at the ready as there will be practical segments to some of the lectures. The focus of this course is on ‘experiential learning’ so that you can experience many of the recommended practices yourself. At the end of each module there are short quizzes (see below under “Course Assessment Requirements”) and homework tasks to keep you engaged and ensure you’re integrating the information we’re giving you, and to help you prepare for the learning to come in the next module. At the end of each module you will be required to complete a short quiz that helps you solidify the learning. An 80% pass mark is required, but don’t worry, the quizzes are multiple choice/ true-false and you can re-do the quiz as many times as you need to. At the end of the course content you will be required to complete two ‘case study’ written assignments—one prenatal case study and one postnatal case study. Upload these to the website (very easy) and one of our Bliss Baby Yoga Facilitators will mark it and be in contact to arrange the final step—your one-on-one Skype session. In your Skype session your Facilitator will give you valuable constructive feedback on your assignments and it’s also a great opportunity for you to ask any questions about the course content. Then, all you need to do is complete our Online Feedback Form (your feedback is soooo important to us!) and you will receive your Completion Certificate that you can either print out or keep digitally to send to registration bodies (eg: Yoga Alliance / Yoga Australia) to gain all-important CPD (Continuing Professional Development Points). The beauty of this online option of the Bliss Baby Prenatal and Postnatal Yoga Teacher Training is that you can complete it in your own time, to fit around your other commitments. The total course hours that will be recorded on your Completion Certificate are 65 hours—this is what we estimate it will take you to complete this course, including the homework tasks, background reading and completing your final assignments. Because we understand that you’re fitting this course around other commitments that may include yoga teaching, working, or being a mother, there is no time limit on when you must complete the course, and the information and resources in this course are yours to keep forever. How you pace your study-load, that’s up to you, and what works best for your lifestyle. For answers to Frequently Asked Questions about our Online Prenatal & Postnatal Yoga Teacher Training course delivery and accreditation, including the following, please click here. Can I get RPYT (Registered Prenatal Yoga Teacher) registration with Yoga Alliance by completing the Online Prenatal and Postnatal Yoga Teacher Training course? Are your Bliss Baby Yoga online courses registered with Yoga Alliance? Is there a time limit to complete the Bliss Baby Yoga online courses? Do the Bliss Baby Yoga online courses certify me to be able to teach in the USA/UK? For answers to these questions and more, please click here. The Online Complete course provides you the flexibility of studying from your own home, at your own pace. It is ideal for qualified yoga teachers, recent teacher training graduates or those still completing their yoga teacher training who want to specialise in the growing field of prenatal and postnatal yoga. The course is also beneficial for keen yoga practitioners who are pregnant or new mothers. It will help to deepen your knowledge of how yoga can support you during these new and exciting stages in your life. Ana’s first book “Moving with the Moon: Nurturing Yoga, Movement and Meditation for Every Phase of your Menstrual Cycle” was released in late-2018 and is now available in both print-book and E-book formats. The online courses have been written and recorded by Ana Davis. Online course students will experience the core audio lectures with Ana, as well as see Ana teaching a real Prenatal Yoga class and Mums n Bubs Yoga class, demonstrating how to incorporate baby in yoga postures, and can practise along with Ana’s prenatal Pawanmuktasana sequence, Sun Salutations, and pre & postnatal restorative video classes. Ana is also a facilitator on our Online Level 1 Fertility Yoga Teacher Training Course and Online Level 1 Restorative Yoga Teacher Training course. Anna Watts has been a beloved guest teacher for Bliss Baby Yoga courses throughout Australia for some years now. 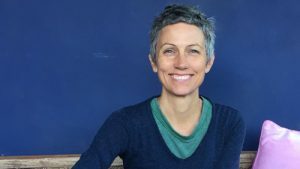 Anna, a mother to two beautiful, adult daughters, is a professional Childbirth Educator and Doula Trainer who has been working with pregnant women and couples for over 25 years. Her wide experience includes a Diploma in Childbirth Education, Diploma in Counseling, Cert IV Training & Assessment, training prenatal yoga teachers, facilitating birth classes, prenatal yoga and supporting many births as a doula. Anna shares her wisdom on birth through the the video lecture “Stages of Labour” as well as the “Celebration of Birth” yoga nidra and birth visualisation audio as part of our Online Complete: Prenatal and Postnatal Yoga Teacher Training course. Star Despres is a devoted yogini, practising since she was 19 and teaching since 2006. 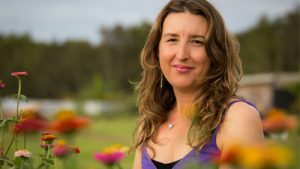 She is a Senior Byron Yoga Centre qualified Teacher and Teacher Trainer, and has been facilitating Bliss Baby Yoga teacher training courses since 2010. Star’s passions rest in empowering women to reconnect with the divine feminine, no matter what stage of life they are in, and assisting them to find a more nurturing and sacred approach to life. 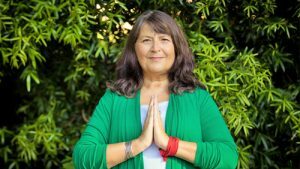 She especially loves to support women through pregnancy, the postnatal period, perimenopause, menopause and times of exhaustion and depletion via the practise of Restorative Yoga and daily self care rituals. Star is also the founder of Divine Star, an Online sanctuary honouring the feminine and offering private mentoring, retreats, workshops and circles to inspire women to reclaim their power and reconnect to their authentic selves. Her greatest role is as a mama of 2 daughters (17 years apart), and continues to fine tune the balance of work and Mamahood whilst also honouring her own needs. Star is a Senior Course Facilitator for our Bliss Baby Yoga Online Prenatal & Postnatal Yoga Teacher Training course, and also offers Online 1:1 Mentoring for yoga teachers and personalised yoga classes. Our Online Prenatal and Postnatal course trainees will have the opportunity to meet Star (or Rosie / Kanako / Mari) face-to-face during the final one-on-one Skype session. 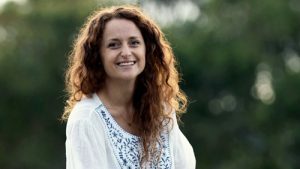 Rosie Matheson is a passionate women’s health and wellbeing educator. She has trained extensively in Hatha Yoga, and is a also a qualified Doula. Rosie’s many offerings for women include classes, workshops, and teacher training courses in yoga for fertility, healthy menstruation, women’s life cycles, and both the prenatal and postnatal phases of life. Rosie’s foundational work in women’s yoga was conducted during a three year residency on Koh Phangan, Thailand. There she participated in over 700 hours of Yoga Alliance certified Yoga Teacher Training courses in addition to attending Yoga Therapy workshops, meditation courses, and a variety of women’s retreats and classes. Teaching women close to home and across the globe, Rosie regularly leads trainings for students in the USA, Japan, Italy, and Australia. Rosie’s passion is in educating women on the power of their bodies, and the undeniable correlation between celebrating your feminine form and living an empowered and vital life. Her genius is in presenting these ideas in a way that is accessible, nurturing, and inspiring to women everywhere. Rosie is a Senior Course Facilitator for our Bliss Baby Yoga Prenatal & Postnatal and Fertility Yoga Teacher Training courses, online, throughout Australia and internationally, and also offers Online 1:1 Mentoring for yoga teachers and personalised yoga classes. Our Online Prenatal and Postnatal course trainees will have the opportunity to meet Rosie (or Star / Kanako / Mari) face-to-face during the final one-on-one Skype session. Mari Notaras (E-RYT 200, RPYT, YACEP, Yoga Australia Registered Level 3 Senior teacher, Dip. Remedial Massage, B.Arts) has taught yoga for over 18 years. She was teaching Hatha Yoga when her passion and interest in prenatal yoga flourished during her pregnancy with her first child 14 years ago. She has since studied extensively in the specialised areas of Prenatal, Postnatal and Restorative Yoga with many experienced teachers from both Australia and Internationally. She completed her Bliss Baby Training in 2011 and was invited by Ana Davis to become a facilitator on the Bliss Baby Yoga Teacher Training courses soon after. 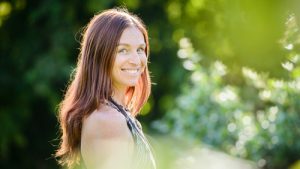 Mari is now a senior facilitator for Bliss Baby Yoga and teaches throughout Australia as well as Internationally, and is also a course facilitator for our Online Prenatal & Postnatal Yoga Teacher Training course. She is a mother of 2 daughters aged 14 and 12, and strongly believes that yoga is an incredibly powerful tool that helps women find peace, strength, and a strong connection to the feminine energy that resides deep within. She uses the tools of yoga in her teachings to promote and support positive experiences as well as a healthy transition through womanhood and all that it brings! Our Online Prenatal and Postnatal course trainees will have the opportunity to meet Mari (or Star / Rosie / Kanako) face-to-face during the final one-on-one Skype session. Maria Kirsten (MA, ERYT-500, YACEP) has been practicing yoga since 1989 and began teaching in 2000. Maria, a mother of two, is an Occupational Therapist, Yoga Therapist, Yoga Teacher and Teacher Trainer, and specialist in Applied Anatomy & Physiology for yoga teachers. Maria facilitates workshops for teachers throughout Australia and internationally, and is driven by a passion to make yoga safe and accessible for everyone. Her style of teaching is dynamic and fun, making anatomy come to life in movement. Maria’s video”Yoga for Grownups”, which offers safe home practices suitable for postpartum recovery, is a bonus included in our Online Prenatal and Postnatal Yoga Teacher Training course. 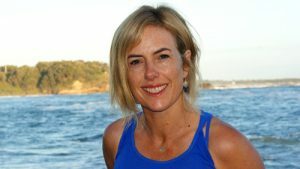 Dr Lauren Tober is a mother of two, yoga teacher and clinical psychologist, who has also trained in Mindfulness-Based Cognitive Therapy, iRest Yoga Nidra™ and Life Force Yoga. Her passion is in bridging the gap between Western and yogic psychology to help people to heal and to live full and wholehearted lives. She is also the founder of “Capturing Gratitude” and “A Daily Dose of Bliss“. Lauren is a specialty guest contributor for our Bliss Baby Yoga Online Prenatal & Postnatal Yoga Teacher Training course in the area of Perinatal Mental Health. Get to know Lauren at www.laurentober.com. Lauren’s lecture on “Perinatal Mental Health” is included in our Online Prenatal and Postnatal Yoga Teacher Training course, and Lauren has also made some valuable contributions to our Postnatal Yoga training manual in this area of study. All prices are in Australian dollars and include GST for Australian residents. Your payment will be processed securely through PayPal, or eWay. Pay via Credit Card (check-out as a guest – no PayPal account required), or via your PayPal account. Prenatal and Postnatal Anatomy & Physiology Extension Module (AU$49 – special bundle price). Pelvic Floor Anatomy & Physiology for Women’s Health Module (AU$49 – special bundle price). Pelvic Floor Anatomy & Physiology for Women’s Health Module (AU$39 – special bundle price). Perinatal Nutrition and Ayurveda Extension Module (AU$49 – special bundle price). Enter the promo code PP2 at the checkout to pay 50% of the course fee upon enrolment, with the balance automatically deducted from your credit card 30 days after the enrolment date (the final payment date will be shown when you select this option). Enter the promo code PP4 at the checkout to pay 25% of the course fee upon enrolment, with the balance automatically deducted from your credit card fortnightly (every 2 weeks) over 3 further payments (the payment dates will be shown when you select this option). * Please note – with any payment plan option, the final instalment payment will need to be paid before the final 1-on-1 skype session can be scheduled. *Please note – payment plans are not available for “Moving with the Moon” print-book bundle. Click here to view course enrolment bundle options. HOW DO I ENROLL & GET STARTED? If this is not your first purchase on our site, you’ll receive a reminder email with your log in details for the account you already have with us. Once you log in to the site, you’ll be directed to your member page where you can access your course and get started! Enjoy the learning— a juicy mix of video and audio lectures, video demonstration classes, and a slew of informative and inspiring reading and notes! You can work entirely at your own pace, and because we appreciate that you may be a busy mother and/or yoga teacher there are no time limits on completing our courses; they are designed to fit around your busy life. Navigating your way through the course is simple and easy, but if you have any questions or issues at any time, we are only an email away! In addition to homework tasks and extension reading/ viewing, after each module of the course you will be required to complete a short quiz that helps you consolidate your learning. Once you’ve completed all of the course modules, you’ll reach the Case Study Assignment section of the course. This is a fun, rewarding exercise that helps you pull all the key knowledge together about safely teaching pregnant and postnatal students with specific therapeutic needs. Complete each Case Study in your own time (there are two—one prenatal, one postnatal) and then simply upload your assignments through the website. Once you’ve uploaded both assignments, one of our Senior Bliss Baby Facilitators will mark them and will be in contact (usually within 7 – 10 days) to schedule your personal Skype session. In your 1-hour Skype session with your Bliss Baby Yoga Facilitator, she will share her constructive feedback on your assignments and this is also your opportunity to field any questions you may have about any of the content in the course. Our online students report that they get so much out this one-on-one time with their course Facilitator. After finishing your Skype session you’ll be prompted to complete a Feedback Form on the website and then, congratulations! You’re done! You will receive your course Completion Certificate that you can either print out or keep digitally to send to registration bodies (eg: Yoga Alliance / Yoga Australia) to gain all-important CPD (Continuing Professional Development Points). And you will then be ready to confidently and safely teach prenatal and postnatal yoga students.